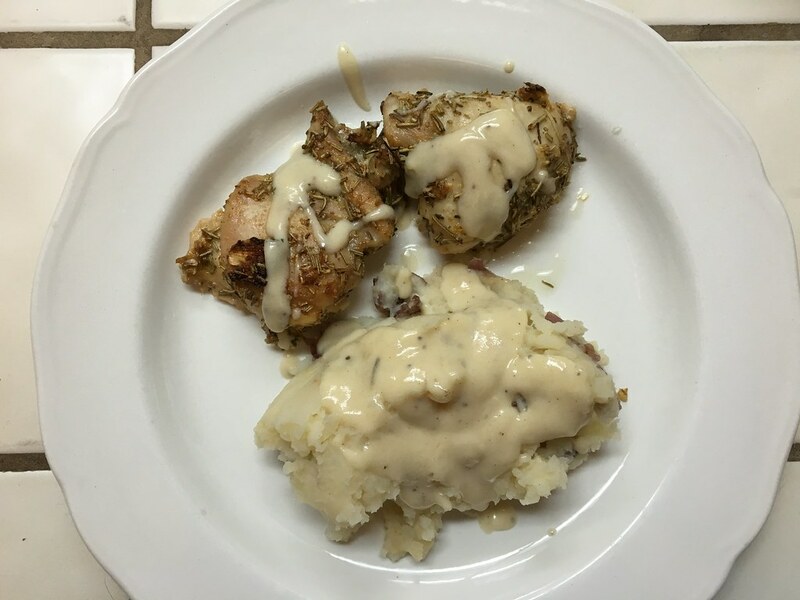 For about a week now I’ve been craving a good chicken dinner, but I couldn’t figure out from where. Then it dawned on me that what I was really craving was my sister-in-love’s chicken that she made the last time we came over for dinner. Not only did she share the recipe with me, but she’s allowed me to share the recipe with you all! It’s so easy! Take rosemary, garlic, and garlic salt and put into blender. Blend until well mixed. Rub both sides of chicken with rosemary rub and add to an oven-safe pan. Cut up the butter and put it on top of the chicken. 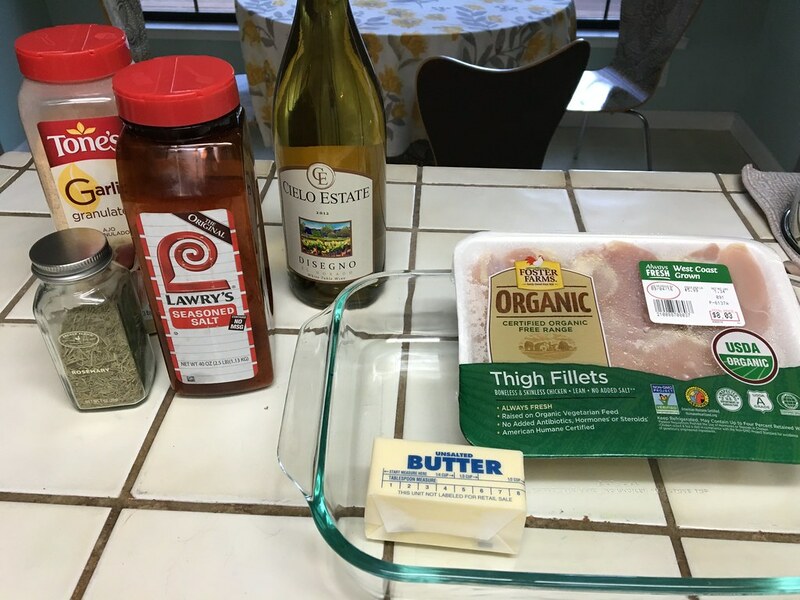 I had five thighs, so I cut up the butter into five pieces and placed them on top of each thigh. 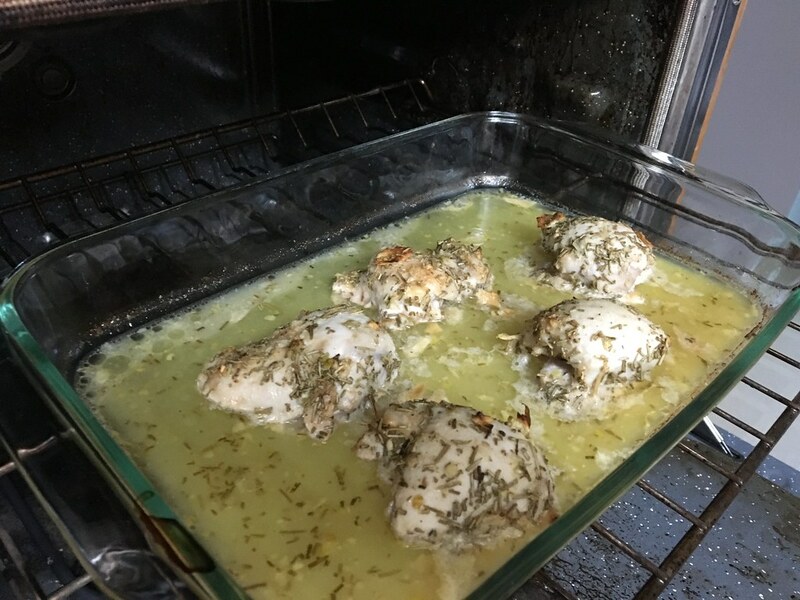 Bake chicken for 1 hour and baste every 15 minutes. I paired this with a homemade gravy (gluten free) from the drippings and homemade mashed potatoes.